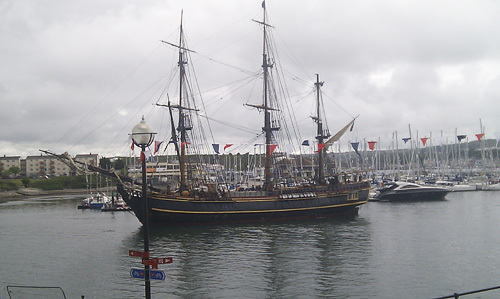 By total chance I looked out of my window and spotted the huge HMS Bounty sailing past! 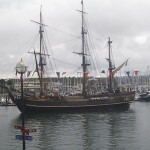 Expected to arrive this Friday, it looks like she made good time and arrived today dead on 11am. 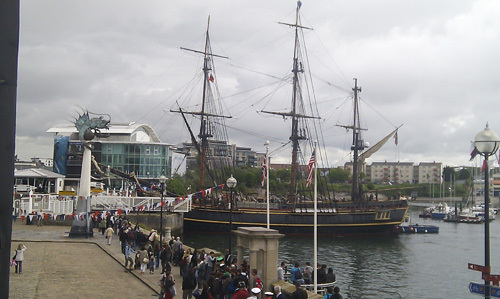 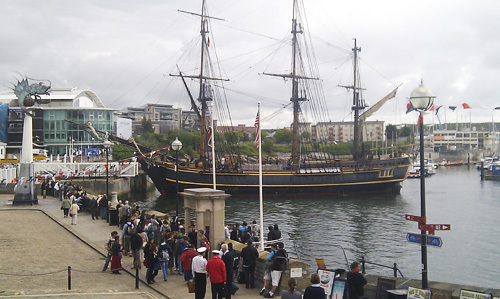 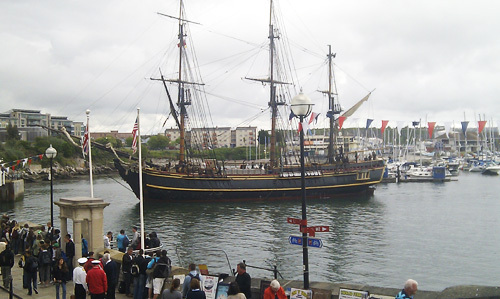 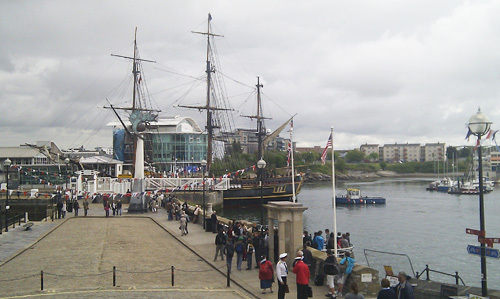 The HMS Bounty will be taking part in the action packed Plymouth Pirate Weekend Celebrations 21st-22nd May. 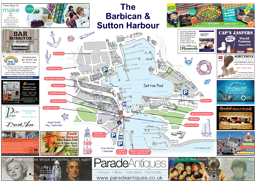 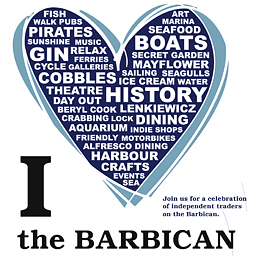 A number of live acts and activities will be taking place throughout the weekend and it is sure to be one of those events not to be missed!